Sky Go receives major design overhaul | What Hi-Fi? Sky’s mobile TV service is being given a complete makeover for 2016, making it easier to use. More new features to improve the service are expected later in the year. The redesigned Sky Go will begin rolling out this week, with the biggest changes coming to the homepage for the mobile app - Android users will get the update first, iOS will follow in February - and web player. The new homepage has been designed to make “finding the best TV brilliantly simple”. Further new features will be added later in 2016 that will make the app “more intuitive, surfacing more shows, sports and movies to Sky Go customers”. Michael Swaine, Sky's director of product development, says: “This is just the start of a really exciting year for Sky Go - an app that’s led the way in watching on the go and loved by millions of people around the UK." A range of new content has recently been added to the service, including A League of their Own, Girls series 1-4 box set, Kingsman: The Secret Service and the full Formula 1 season when it begins in March. 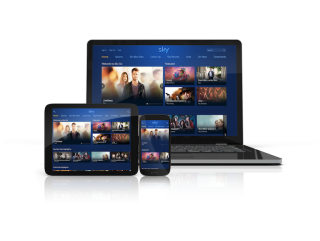 Sky Go enables Sky subscribers to watch on-demand content on mobile devices, games consoles, Mac and PC. The £5/month subscription service also allows up to four users to download programmes for offline viewing too. There are currently 70 channels available to watch as well as “thousands of shows and box sets on demand”. MORE: Sky Q - what is it? how can you get it?